Cryptocurrency is still relatively new in India. The digital currency gained a lot of attention from not only India but the entire world after its all-time high price of $20,000 in December 2017. This rolled in a lot of trading, investment, currency exchange, institutional investments, the launch of several crypto-based startups everywhere in the world. But the volatile crypto market tested the digital currency in a harsh way this year. The up and down trajectory of the Bitcoin’s price has been currently reported to touch an all-time low of $3,337 at 12:28 pm HK/ SIN (11:28 pm E.T on Thursday) as per the reports from Coindesk. 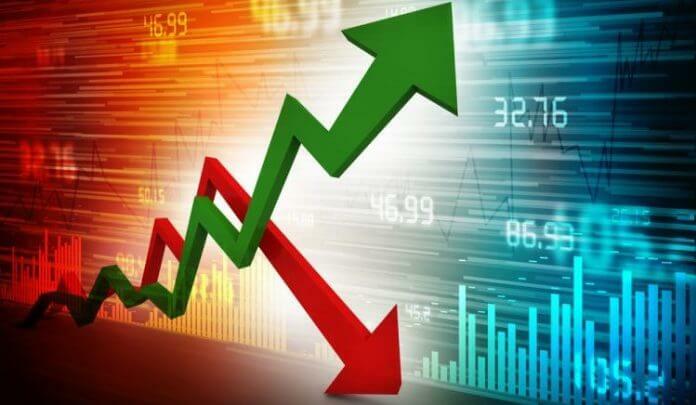 Bitcoin has seen an almost 10 percent fall in the price in the last 24 hours, whereas Ripple XRP (the second largest cryptocurrency) and Ether (the third largest cryptocurrency) have respectively seen a drop of 10.62 percent and 15.90 percent. Looking at the newness of cryptocurrencies in India and given the fluctuating nature of cryptocurrencies, the Reserve Bank of India (RBI), has been constantly putting caution notices for the investors and traders of cryptocurrency. On April 5th, the apex bank rolled out another notice of asking the commercial banks to completely stop dealing with any cryptocurrency or cryptocurrency related entities like Bitcoins, Ether, Ripple, contracts and so on. Amidst the volatility of the crypto market and the newness of the digital currency in India, how should one discover the right way to invest or trade in the crypto market with INR in hand, in India? The cryptocurrency exchanges in India are encouraging a peer-to-peer ecosystem for establishing trading and investment in the digital currency. This has resulted in the familiarity and popularity of various cryptocurrency exchanges like Loop (by Koinez), DCXInsta (by CoinDCX) and CoinDelta among others. Due to the peer-to-peer popularity trend in India, the traders and investors are looking at platforms like Remitano and Local Bitcoinsfor, to seek a participation in the international crypto landscape. The benefit of the peer-to-peer approach for the investors and the traders is that it decreased their dependency on banks and financial institutions; thus the power stays in the hands of the investors. With the growing potential of the Indian economy, India is becoming a hot attraction for trading and investment in the cryptocurrency. Thinking of buying cryptocurrency with INR in India? There are many ways you can engage yourself in the crypto landscape in India. The most direct way is to buy the digital currency with fiat currency, in this case, INR. You can buy the cryptocurrency such as Bitcoin BTC, Ether ETH, with fiat currency with the help of any P2P cryptocurrency exchange platform. Selecting a P2P cryptocurrency exchange platform curtails a list of few features that may help you narrow down on one exchange based on your needs. The cryptocurrency exchange is offering you things like high liquidity, transaction speed, competitive pricing, number altcoins and tokens, and the trading fee. Looking at the liquidity, what can an exchange offer you? Liquidity is nothing but the volume of the digital currency that a crypto exchange offers you for purchasing or selling purposes. This means the higher the liquidity, quicker is the transaction of the cryptocurrency at the given cryptocurrency exchange. CoinDCX by far boasts the highest liquidity for cryptocurrency exchange in the country. The highest liquidity stems from the fact that CoinDCX shares liquidity with the world’s top cryptocurrency exchanges- Binance, Huobi, and HitBTC. Other cryptocurrency exchanges to consider in India are Bitbns and WazirX. What transaction speed does your cryptocurrency exchange offer? When it comes to transaction speed, it can vary from 2 hours to 24 hours. In some exceptional cases though, the transaction may take even 2 to 3 days. The transaction speed is the time that is involved in purchasing or selling cryptocurrency against INR. On certain peer-to-peer cryptocurrency exchange platforms like Koinex, it has been reported where the investors and traders opt to wait for a number of days and even weeks to strike a desirable request for deposit or withdrawal of Indian Rupee. Bitbns, on the other hand, has an exhaustive transaction process. 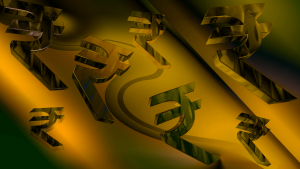 The tediousness involves creating vouchers on a third-party site, creating requests for peer-to-peer deposits in order to withdraw or deposit INR. The third cryptocurrency exchange in the country- DCXInsta allows INR deposits through the means of UPI or IMPS. Initially, DCXInsta gained popularity due to its almost instant (less than sixty seconds) promise for any withdrawal or deposit. Although currently, it takes around 2 minutes to 2 hours for withdrawals or deposits; which is still better than Bitbns and Koinex. Which cryptocurrency exchange is offering the best price/trading fee? When it comes to searching the best trading fee in India for cryptocurrency exchange, Bitbns wins hands down. The second in the race is CoinDCX’s DCXInsta. The trading fee is subject to the volume of demand and supply within the market, and also on any changes in the crypto market on the global level. Traders look for discounts and rebates on the adding fee. But as of now, no cryptocurrency exchange except for Bitbns offers any discount. Bitbns offers a rebate on the withdrawal fee which an investor or trader incurs when he withdraws from any other crypto exchange and deposits that to Bitbns. This obviously is done to hike the number of deposits on their exchange. If traders and investors get lured with the rebate Bitbns offers, the low liquidity of Bitbns will soon recover. How many altcoins and tokens a cryptocurrency exchange offers? The number of Altcoins and tokens offered by a cryptocurrency exchange speaks volumes about the versatility of the investment portfolio the exchange has to offer. A suitable investment portfolio is always a good mix of stable coins and risk covered volatile ones. If you are seeking for a big chunk of profits through cryptocurrency, then you should also fasten your seatbelts for facing a potential equally more significant risk; as the bigger gains are often hooked on volatile digital coins. An exchange that allows you to choose from a range of coins to customize a balanced portfolio as per your personal needs is the best combination you should seek for. In this bracket, currently, CoinDCX is maintaining a lead on all the other cryptocurrency exchanges in the country with its offering of more than 100 altcoins, tokens in India. “In 2022, India completes 75 years since Independence, In that special year, India looks forward to welcoming the world to the G20 Summit! Come to India, the world’s fastest-growing large economy! Know India’s rich history and diversity, and experience the warm Indian hospitality.” Modi on Twitter. With the G20 regulation on crypto assets against issues like money laundering and financing of terrorism; Indian crypto landscape should see growing participation and growth in the near future.